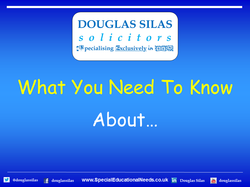 Pupils with a Multi-Sensory Impairment (MSI) have a combination of visual and hearing difficulties. They are sometimes referred to as deafblind but may have some residual sight and/or hearing. Many also have additional disabilities but their complex needs mean that it may be difficult to ascertain their intellectual abilities. Pupils with MSI have much greater difficulties in accessing the curriculum and the environment than those with a single sensory impairment. They have difficulties in perception, communication and in the acquisition of information. Incidental learning is limited. The combination can result in high anxiety and multi-sensory deprivation. Pupils need teaching approaches which make good use of their residual hearing and vision, together with their other senses. They may need alternative means of communication.